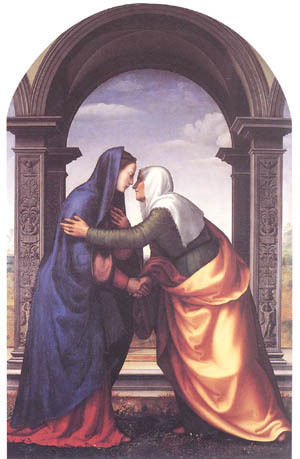 The feast of the Visitation of Our Lady to her cousin St. Elizabeth is closely connected to the canticle of the Magnificat that she sang on that occasion. 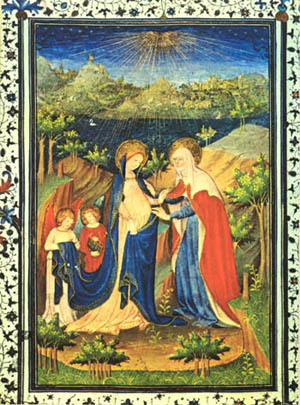 I will comment on the Magnificat as homage to this feast day of Our Lady. 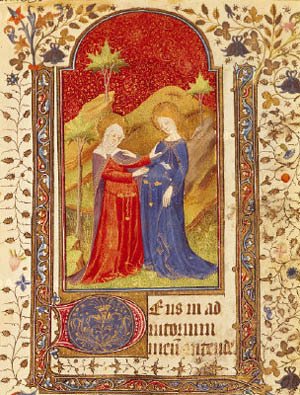 It seems to me that this canticle is an artistic work of logic; it shows how logic was present in the spirit of Our Lady even in moments of great joy and enthusiasm. In her words a rational structure is present that is truly impressive. It is interesting to note how she decided to praise the grandness of God first. The other attributes of God she mentions – mainly His mercy and justice – are related to His grandness. It is obvious that one should sing praises about the mercy of God, for without His mercy we would be nothing. At the same time, we should not be single-visioned regarding the mercy of God, just as we should not be focused only on His justice. It is necessary for the spirit to be turned to both aspects. This is what one finds in the Magnificat. I see the Magnificat from two different aspects: first, as a completely rational and structured canticle; second, as a canticle where the grandness of God dominates through the exaltation of His justice and mercy. The consequence is that the Magnificat clearly refutes a sentimental piety that prevails in many Catholic circles. For behold, from henceforth all the generations shall call me blessed. I magnify God because from a humble slave – the Latin ancillae sua, means His slave; ancilla was the feminine for servus which means slave – He made a Queen, who all the generations shall call blessed. This is already a glorification of God’s grandness. He did great things with her, and those great things manifest His grandness. For this also, she magnifies the Lord. And His mercy is from generation to generation, to them who fear Him. You can observe that she invokes God’s mercy to glorify His grandeur. He is great because of His continuous mercy toward men. She mentions only those men who fear God, that is, those who have reverential fear for His grandness, sanctity and goodness. The following verse presents another reason for extolling the grandness of God. In this verse she sings that God is also great in His justice. He not only shows mercy to those who fear Him, but He also punishes those who do not. Regarding the latter He manifests His grandness by punishing them. He is great when He shows the power of His arm by scattering those who are prideful. So, immediately after she sang of His mercy, Our Lady manifests her enthusiasm for the wrath of God. Note how balanced this canticle is. How it praises God in His different and apparently contrary qualities. Note how these words are different from the saccharine language of sentimental piety that only sees God in one of His aspects – mercy – without consideration for His justice and grandness. One sees how rationally structured the Magnificat is. It is like the presentation of a university dissertation that presents the main thesis and then gives the necessary arguments point by point. He has put down the mighty from their seat; and exalted the humble. Obviously, this statement does not mean that God deposes all the powerful who sit on thrones. It is not the affirmation that they should be replaced by the humble. Otherwise, after a while it would be also necessary to depose the new group of mighty ones and place other lowly persons in their places. This is an absurd interpretation. Who is the mighty and who is the humble in this verse of Our Lady’s canticle? The humble man is the one who takes an attitude similar to Our Lady in the Magnificat, i.e., the one who attributes everything to God and recognizes that He is the source of all goodness and power. Without His accord, we cannot do anything lasting in the natural or supernatural order. He is the one who commands everything. In this sense, the forefathers of Our Lord referred to in her canticle were humble. For example, King David, from whom she descended, was a mighty man who died in the plenitude of his power and, at the same time, humble because he acknowledged God as the source of everything he was and did. Therefore, the mighty whom Our Lady is condemning is the one who does not recognize God’s omnipotence and imagines that he has a power independent of God. So, God deposes these mighty ones and exalts the humble. It is another manifestation of the grandness of God who laughs at the pride of the powerful man. He can take away the power from the proud man who only trusts in himself and give his place to the humble man. That is, in the face of the grandness of God, all human grandness is nothing. To those who were poor of spirit, to those who hunger and thirst for justice, He gave bountifully. As for those who did not care about the justice of God, those who were attached to the earthly goods, He sent them away with nothing. This means that to have wealth means nothing in the eyes of God. He can reduce many goods to nothing and make the poor rich as He so desires. That is, God is great in His alliances because He carries out His promises to the end. 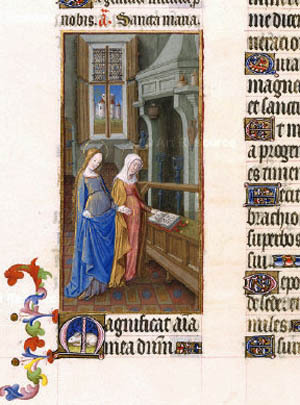 Observe that from beginning to end, the Magnificat is a thesis followed by arguments demonstrating it. It sings with extraordinary balance of the justice and mercy of God to show His grandness: grandness in His mercy, grandness in His justice. It is also a demonstration that all human power is nothing independent of God and a proof of His dominion over the entire universe. It is a triumphal hymn to the grandness of God. 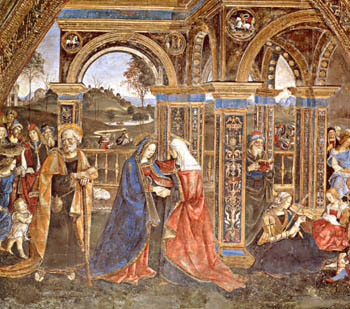 As soon as St. Elizabeth glorified her greeting to Mary with the words we pray in the Hail Mary, Our Lady responded with the words of the Magnificat to show that she considered herself nothing before the infinite grandness of God. So, she praised God in an excellent manner, with an extraordinary enthusiasm, but principally with such a superb equilibrium expressed in such an extremely rational and well-articulated way that it could be compared to the Summa Theologica of St. Thomas. 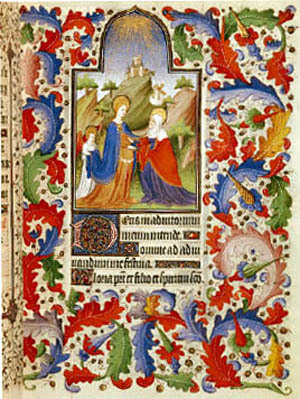 This is the canticle she composed under the inspiration of the Holy Ghost when she was greeted by St. Elizabeth. In this canticle, you can see the spirit of Our Lady. These were some of the few words that she spoke that were recorded in the Gospels. The soul of Our Lady is imbued with reason, filled with wisdom. In the words she spoke, she presented herself to us as an example of rationality and balance. The Magnificat does not have one superfluous word; there is no misplaced word in it. It is a perfect piece of jewelry in which each stone is cut and set to best express the beauty of the ensemble. This is the spirit of Our Lady, the opposite of the vacuous sentimentality and saccharine enthusiasm of an artificial piety. To be a slave of Mary following the method of St. Louis Grignion de Montfort, we should look for this spirit of wisdom, this balance in the adoration of the different characteristics of God, a balance between reason and sentiment inspired in all things by faith. These principles give us the guidelines of a school of spiritual life whose aim is to imitate Our Lady.